Recent Acquisition of Olympus EM-5 type 2 Driven by Desire for More Beautiful Handheld Video. Tests Begin. A new player in the house. Hot on the heels of my Nikon D810 review I must let you know that I find it impossible (for me) to be a "one system" guy. It seems like there is always some feature or some combination of features on a different type of camera that are just the perfect complement to the other camera. After much consideration I headed over to Precision Camera yesterday. The trip was slow and plodding as the brain trust that is the city of Austin is doing major construction to one of our two major, north/south highways in conjunction with the arrival of an extra 2 million or so people for the SXSW music festival. Observational evidence would suggest that many of the arrivals for the festival are experiencing driving in cars for the first time in their lives....but that would still make them better drivers than many native Texans. At any rate, I made it to the optical candy store and traded in a bunch of accumulated studio bric-a-brac and duplications and walked out the door with a brand new, black, OMD EM-5 type 2. I also sprung for the HLD-8 battery grip. I made it back to the Starbucks in my neighborhood and sat down, with a cup of coffee, and started piecing the camera together while reading the manual. As a veteran camera buyer I knew to bring along a charged battery, one of my favorite straps and a nice lens, as well as an SD card. Having the camera outfitted the way you like it makes configuring it much easier. This morning I posted a review that called the Nikon D810 the best all around camera in the world so why in the world did I go out and buy a totally different concept of a camera if that's true? Here's the best reason I can give you: The Image Stabilization in the new camera is so good and so useful that I would be shortchanging myself as a videographer NOT to have one of these amazing cameras as a premium tool for handheld video. I've shot plenty of test with the original OMD EM-5 to know that the I.S. was useful. Even vital for handheld video work. But the thing that kept me from embracing the last version for production work was the video codec. The quality of the files with movement and low light. It's almost as if the in camera processing of the video files cancelled out the benefits of the I.S. While the new, type two, codec isn't without fault and detractors it's laps ahead of its predecessor and that makes it more than useful for handheld shots. The addition of a dedicated microphone port and a headphone jack, along with manual control for both of these features provided the final tipping point to purchase. I am currently producing a video that calls for clean, handheld movements and I'm getting up to speed as quickly as the Basque language Olympus menus allow. Already I am finding that this little package is like getting a video with its own free SteadiCan attached. I will be working on a full review to post near the end of next week. Not just video but anything that stands out about the photographic side of the camera as well. I am excited about having the fluidity of this camera at my fingertips for real productions. The next step is to see how well the files from the Nikon D810 cut together with the files from the EM5/2. I still can't believe the performance of the I.S. in video. Amazing. Past Due Reviews. The second in a series. 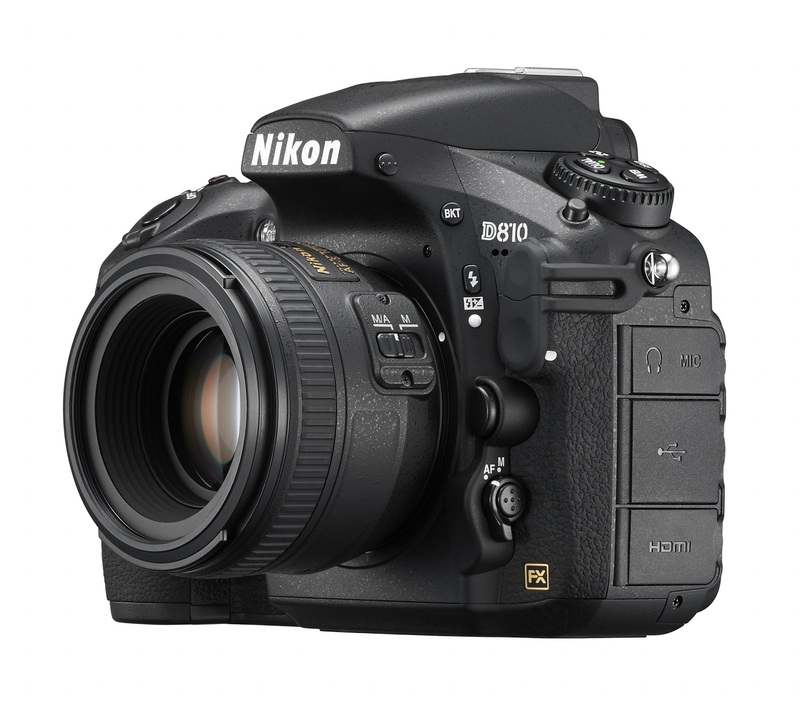 The Nikon D810. Executive Summary? The best all around camera in the world today. Ben, hard at work in the studio. Fourteen years ago. Two days ago I wrote a review about the Nikon D610. It's a really great, full frame camera that provides a higher image quality than most photographers will ever need. The design, overall, is mature, easy to use and familiar to those who grew up with conventional film cameras. At the current, widespread pricing of $1495 it's a camera that many of us working professionally would have paid three or four times that amount if we could have gotten that camera in our hands six or eight years ago. 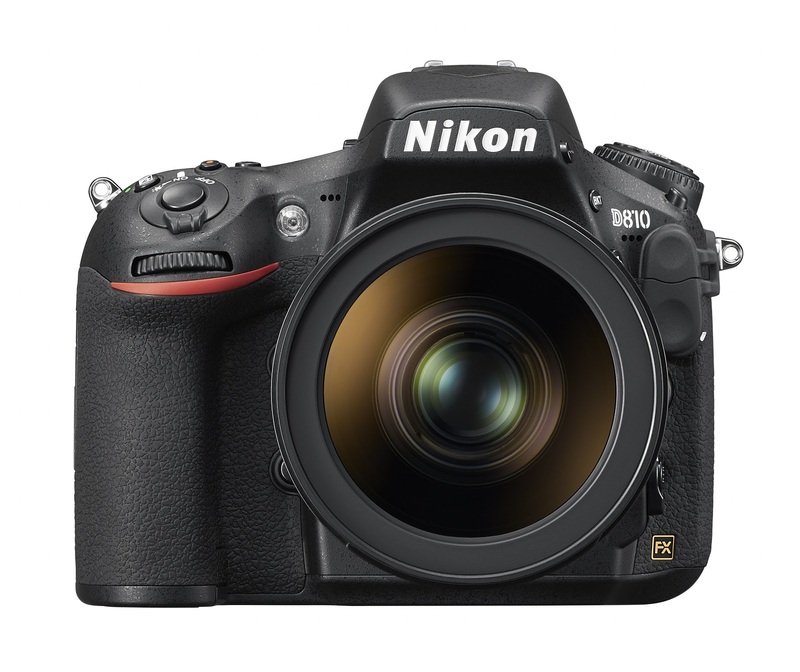 So why in the world would anyone want or need the Nikon D810? I've spent the last few months finding out. The Sensor: While everyone seems riveted on high ISO performance capabilities in new cameras I personally am thrilled with the low, native ISO of 64 on the D810. At 64 ISO the dynamic range is as wide as it gets. There is a (somewhat) linear relationship between escalating ISO and diminishing dynamic range. While people talk about ISO-less sensor performance they are mostly referring to noise, not dynamic range or color accuracy. There are plenty of Sony sensor infused cameras that do high ISO well (the D610 is one of the absolute best in that regard) but what some of us are looking for is how to achieve the very best image quality you can wring out of a camera. If you want to maximize the impression of quality in your photographs the place to start is at the bottom (native) of the ISO scale. This is really what the D810 does best. Shooting at lower ISOs has some operational advantages in exterior shooting as well. ISO 64 means when we go outdoors to shoot portraits with flash we can use wider apertures at the maximum sync speed to drop more stuff out of focus. 1/250th at f5.6 if pretty nice. Add a bit of neutral density and you could be shooting that premium optic at it's pricy aperture in full sun. With maximum DR. Nice. But this ignores the Brontosaurus in the dining room, the sheer resolution. In the past I scoffed at the idea that we needed much more than 16 megapixels in our cameras to do the vast majority of our work. 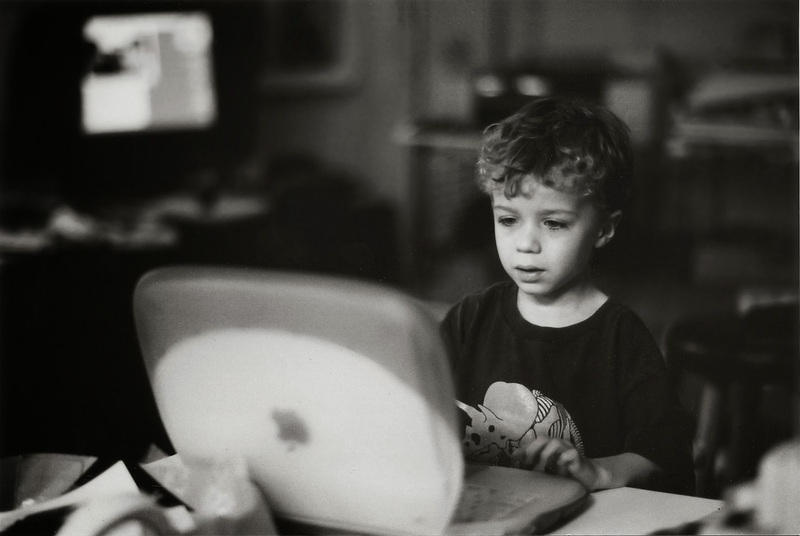 I still feel that way for lots of applications like portraiture and just about anything destined to be used only on the web. But there are shoots that professionals who shoot for corporate clients and advertising agencies are commissioned to do that really do require just as many pixels in the mix as you can reasonably bring to bear. As the economy in the U.S. recovers trade shows are flourishing again. New printer technologies mean that it's more cost effective for more companies to use bigger and bigger posters and wraps in their marketing and the designers who put the work together are constantly looking for more information/ more resolution. We've been asked for samples from our cameras by more agencies in the past four months than we ever did in the past five years. The files from the D810 are appreciated by this audience! I've also come to appreciate the increased resolution when using the D810 for still life photography. Yesterday I was shooting small computer servers on a white background. If you try to fill the frame with the whole server and you are shooting down at the server in order to shot it in the deep dimension there's no way to cover the entire product with uniformly sharp focus. At f16 and using every idea about distribution of depth of field I could either keep the front panel and the bulk of the server (but not the back end) in focus or the opposite. Yes, if I was working with one product instead of five or six with three views each I might try to do some focus stacking but we have realistic deadlines to meet. Instead I back up instead of trying to fill the frame as we did with lower res cameras. I tried to find the right distance at which I could distribute sharpness over the entire image in one shot. When I brought the files back into the studio I was able to crop and still have a larger image area than I would have had with a 16-20 megapixel file. The higher resolution also helped when using lens correction tools to correct perspective. The image files start as 14 bit, uncompressed RAWs and even when cropped the sharpness and dynamic range, along with the color accuracy, remains. When I do this kind of work I am always trying to shoot at ISO 64-100 or 200 (at the max). I am using the camera on a stout tripod and I use the mirror-up along with an electronic release. Used in this fashion I believe I am getting work from this camera that matches the 4x5 view camera systems I used in the days of film. But....don't think that this camera is a specialized tool that can only be used like a view camera. The camera can be used in exactly the same way as any other high quality DSLR camera. And that includes shooting up to 3200 ISO with little regard for noise. When you use the files in the same way that you would when using a 24 megapixel camera with a better high ISO performance you'll probably find that when used at the same sizes the reduction in the D810 file size reduces noise to pretty much the same levels. Overall performance: While there is a push in marketing to talk about super high frame rates most of us are happy to shoot at five frames per second for just about anything except sporting events that are over in a flash. Stuff like 10 meter diving, pole vaulting, broad jumping, etc. For my use as a generalist professional photographer with a leaning toward portraits the 5 fps of the camera is just fine and, even with the huge 36 megapixel files, the buffer is quite adequate---even when shooting with raw files. The D810 uses Nikon's best auto focusing system. It locks on quickly with both AFS and screw-driver motivated lenses (old D series). I don't do a lot of tracking shots but the times I've tried C-AF with moving subjects the camera performed well. What most of use find is that certain lenses focus quickly and others less quickly, regardless of which camera model is used. But the real benefit (at least to me) is focusing accuracy as opposed to overall speed of focus. The camera is robust and feels very solid in one's hands. The marketing material implies that the camera is water resistant and I'm happy with that idea but mostly because I think that also makes the camera more resistant to dust as well. If you've shot with Nikon digital cameras over the years all of the controls and menu items will seem familiar and comfortable. It had been a while since I used Nikon cameras. The last time I was using them was in the heyday of the D700. I reacquainted myself with the system last year via the DX model D7100 and was happy to find how quickly I adapted to the interface. As far as menus go moving from the Olympus system to the Nikon system is like going from some sort of highly encrypted document to reading a Dan Brown novel--- the later being easy to read and highly predictable. (To all the seething Olympus fans: yesterday afternoon I bought an OMD EM-5 type 2 with an HLD grip.....I am correct about the menu but the camera's value far exceeds the menus opacity...). The Nikon D810 side view. Image Quality. Whether I shoot in uncompressed 14 bit raw or in medium sized (20 megapixel) fine Jpeg I am happy to report that the camera turns in great performances without caveat. One attribute that surprised me the first few times I used the camera to take portraits was the way it absolutely nailed color on flesh tones. Even in mixed lighting like a recent project that was mostly lit with LED panels but also had bleed light from a cloudy outdoors and some fluorescent light sneaking in around the edges the camera seemed to nail the general color for skin with ease. This is a wonderful thing and cuts a lot of time out of the post processing phase of a job. Having spent most of last year shooting with a Panasonic GH4 and a bucket full of Olympus EM5's the leap in dynamic range was.....exciting. I noticed this most in two types of shooting. The first "Aha!" moment was in shooting a dress rehearsal of "Peter and the Starcatcher" for Zach Theatre. The camera held highlight detail like my dog holds onto her squeaky toy. And the camera did so while looking deeper into the shadows than I am used to. As a result I spent very little time in post sliding the highlight and recovery sliders as I had done in the past. The second shooting situation was shooting portraits in a high sun environment. I was blocking sunlight from my subjects with flags and then adding the light I wanted with a strobe in a softball but I was also shooting at ISO 64 which is the dynamic range sweet spot for the camera. Instead of blocked up shadow areas in deep shade in the background everything in the image was recoverable. In effect, the camera helps you to be better than you are by acting as an exposure lifeguard via its wide range of exposure latitude. This is also seen in the ability of the files to be recovered gracefully from underexposures and overexposures. Assuming you are shooting at the lower ISOs you can recover up to two stops with no worries and up to three stops with a little work from underexposed images. In raw I can easily recover files that are up to a stop overexposed. When I compare this with previous generation cameras like my older Canon 5D mk2 I am pretty amazed. It's not the fastest shooting camera in terms of frame to frame fps and there are cameras that can beat the D810 in terms of lower noise at high ISOs but in every other regard, including focusing speed and accuracy, color accuracy, dynamic range, usable resolution and general handling I stand by my executive summary and happily call this camera the best in the world (for the price). From an image quality point of view I am completely satisfied and have warm and fuzzy new feelings about being able to offer my clients the best quality work I have ever created. Ever. But these days I want even more out of my cameras------ I want them to be good video shooters as well. Video Performance. Before I dropped $3,000 on this camera I spent a lot of time looking all over the web for information and samples of this camera's video performance. Nikon is pushing hard on the video capabilities of this camera and its lower resolution counterpart, the D750. I wanted to be able to press this camera into service in both disciplines. That meant, at a minimum, that the camera had to give me manual control over sound levels, exposure and focus, had to have both a headphone and microphone inputs, needed to have a clean HDMI output and be usable with an Atomos digital video recorder, and most important, had to have sharp, detailed and clean video files. What gave me pause was the lower bit rate of the camera's native codec. The "in camera" files are 24 and 42 mbs in 30p and 60p, respectively. No most meat on the files than what I had in the Sony a99 over even the Olympus OMD cameras. But "the proof of the pudding is in the eating" and I went looking for samples. What I saw was good. Not as detailed and wickedly sharp as the high mbs bit rate files of the GH4 (but what is?) 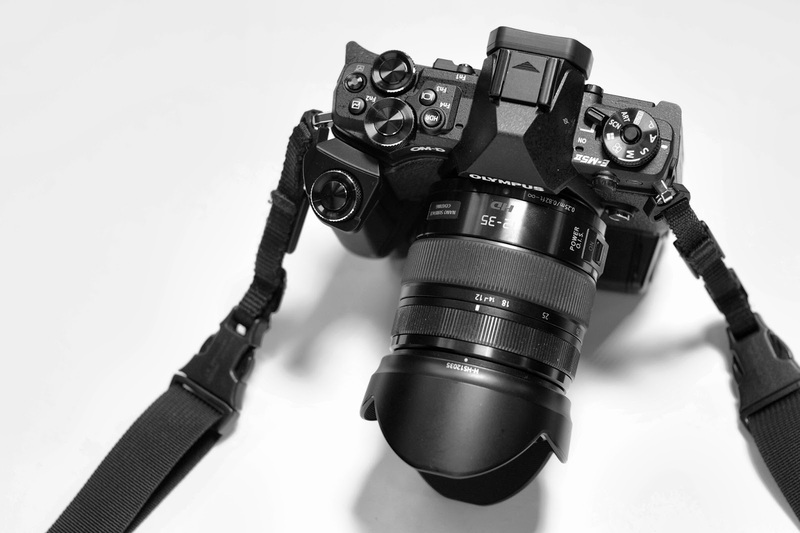 but better than the Olympus, Sony and previous generations of Nikons. From every set of samples I could find the D810 was demonstrably better than the video coming out of Canon's (un-hacked) 5Dk3 as well. Once I acquired the camera I pressed it into commercial use by doing two video projects--- end to end --- with the camera. One was a controlled interior project which required exposing at ISO 1250 and the other was a series of location interviews with minimal added light. The interior project showed me that the camera could create usable, good video at lower light levels. It also showed me that I need lots of practice panning and maybe an investment in a better fluid head... One thing that I'm starting to understand are the strengths and weaknesses of 1080p video. Wide, highly detailed scenes never look great with video that's just 2,000 x 1.000 pixel because ===== wait for it==== there just aren't enough pixels to make everything convincingly detailed. Doesn't matter which camera. You just aren't going to make great, detailed landscape videos with a camera and format that's limited to this pixel count. The strength of 1080p video is that it looks great in close ups. It's great for interviews with big talking heads. It's great for tight telephoto shots. And it's convincing when you let the backgrounds fall out of focus. Then your eyes don't go looking for detail they're never going to find. So the giant wide shots we did on the interior job worked as well as 1080p video was ever going to work and the low noise at this mid-ISO setting was very acceptable. Where the camera did shine though was in its FLAT profile. The new profile isn't dramatic like an S-Log profile but it provides a nice, flat, lower saturation file that sharpens well in post and can be graded with more saturation and contrast and look really good. I leaned on that in this project. The other project was series of interviews on uncontrollable locations all over the place. But, being interviews in my style meant that the frames were comped like portraits. Nice and tight but not too tight. These looked uniformly beautiful with lots of detail and no artifacts whatsoever. This camera is eminently usable for interview work and close up work. And if you have enough light to head up to 60p the files are drop dead sharp. Some downsides. The on camera microphone preamps seem noisy. Not weird noise but mostly just high frequency hiss. They also require a lot of gain if you use balanced microphones straight in. I was working with a Rode NTG-2 that was good on the GH4 but needed way too much amplification on the Nikon. Part of the problem might have been an impedance mismatch so I used a passive BeachTek DX2A as a mixer and impedance transformer between the NTG-2 and the camera inputs and that helped a lot. But even better was sticking a digital audio recorder, like a Zoom H-5, in the middle and using the output of the digital recorder to drive the microphone inputs on the camera. In that configuration the camera audio was much better. Very usable. This adds a layer of complexity that's not always wanted but good sound can be so vital in most instances it is worth it. The most glaring downside in video on the D810 is that the camera does not feature focus peaking on the rear screen. When working in video, up close with long lenses, in conjunction with a full frame sensor, focusing accuracy is critical and, while photographing subjects in motion an aid like focus peaking can be critical. I very much hope that this is something that camera be added in firmware. The camera only shoots 20 minutes files at it's highest quality settings. The camera doesn't over heat (in my winter time experiences) but it does count down to zero and stop every twenty minutes of shooting. I used to shrug this off because most narrative work never calls for long takes but as luck would have it I did a 2 hour interview a few weeks ago and that had me watching the elapsed time on the camera like a hawk. When we we're in the last thirty seconds I'd try to time the shut down and restart of the camera with someone's cough or long pause. Sometimes it worked. Sometimes we lost a few seconds. Something to consider. Nothing against the D810 but I will say that there are times when other formats are better overall for shooting video or even fast action in still images. A much smaller sensor gives you more depth of field which means less drama and trauma over focus issues when going for the close ups. Or shooting stills "on the wing." I am also spoiled by Olympus's incredible image stabilization, both in video and still photography. But these aren't issues specific to the Nikon D810. As a video camera it's pretty good but would benefit from a more robust codec. But there is always a trade-off. More mbs means much more file size. Which means much greater storage issues. I have seen really, really good quality 4:2:2 color from uncompressed files written to ProRes on an outboard recorder and am confident that the Nikon can do amazing video with these add-ons. If the client has the budget it's a somewhat logical thing. But in reality if the client has the budget to spool terabytes of uncompressed files it would make more sense to rent a dedicated video camera like the Arri Alexa or a Sony F65 or F55 and just get all the bells and whistles in one robust package. In a way I think Nikon is making a good compromise for the kind of video use this camera is going to see. That use is from photographers who also make video and do so for businesses and corporate clients aiming at showing their marketing videos on the web and in other non-broadcast venues. Like everything else it's production that exists in tiers based on the wants, needs and budgets of the project. By my nature I will pretty much always aim to use very small crews for video projects. I want to run camera and direct. The second person I would always hire (unless I was shooting solo) would be a sound person to wrangle microphones and move audio from mixers to camera inputs. After a sound person would be a second shooter for cutaway angles. That's about it. It's smaller, less complicated productions like these at which Nikon seems to be aiming their new generation of video enhanced cameras. Will this marketing niche work for them? Maybe. But if I were their product marketers I would be demanding that engineering give me cleaner audio and focus peaking so I would have some assurance of total parity with other products in the price range. For now the GH4 still trumps the Nikons in video for everything except the ability to limit depth of field. But all this video mumbo jumbo aside this is a still camera whose image files everyone will love. The only advantage to other formats is the size and weight. For commercial work this one hits the sweetest of the sweet spots.